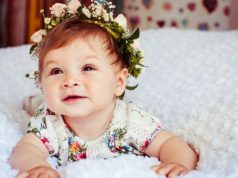 The four-month sleep regression, the 12-month sleep regression, the 18-month sleep regression – what is happening to your baby? Any time your baby’s sleep suddenly seems to go pear-shaped, it’s natural to wonder ‘what am I doing wrong?’ Having a neat little term like ‘sleep regression’ gets you off the hook: it’s not you, it’s your baby. It’s just sleep regression; it’s normal and common, and it will pass. The measurable, important milestones that signal your baby’s development can influence your baby’s sleep patterns. So when your baby, who has been sleeping in peaceful bocks, suddenly starts waking more frequently, it usually means she’s approaching an actual developmental milestone. She’s not regressing, she’s progressing. Developmental milestones can be physical (rolling, crawling, cruising, walking), emotional (separation anxiety) and neurological. Neurological milestones are those outlined in The Wonder Weeks, a book by Dutch psychologists Franz Plooij and Hetty Van Der Rit. They describe wonder weeks as critical periods of development that change a baby’s perception of his world. For instance, at 26 weeks, babies start to perceive distance; this means that as you walk away, your baby is now more aware of the distance that separates you, and she may yell because the increasing distance between you and her is confusing and a bit scary. As babies approach any new developmental phase, their perception of the world changes. Although this can be just a blip on the radar for some babies, more sensitive babies will need extra reassurance and can become quite clingy or generally unsettled at these times. 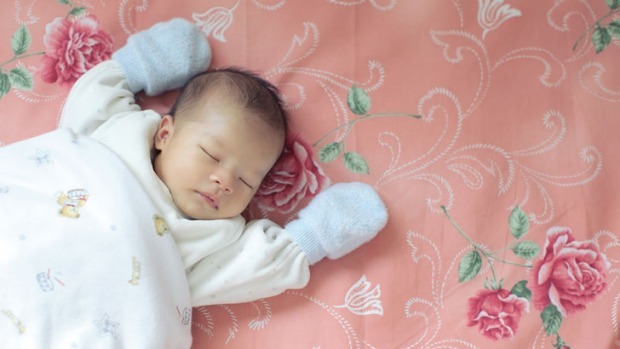 Because babies process information during their sleep – circulation to the brain almost doubles during REM sleep – it’s perfectly normal for them to wake more often as they approach new milestones. Of course, if your baby suddenly becomes unsettled or wakeful at any time, it’s important to check there isn’t a medical reason, such as sore ears or a urinary tract infection (babies generally wake when they wee if they have a UTI, because it hurts). Or if your baby has recently started family foods she could be upset by food sensitivities; if you suspect a food allergy, check with your health carer. Once you’ve ruled out illness as a reason for sudden changes in your baby’s sleep patterns, consider your baby’s development. What new skills is your baby learning? Is she a bit more clingy during her awake times? Does she seem more sensitive right now? Try to see her wakefulness as a positive – she’s not regressing, she’s progressing. She’s learning and developing in leaps and bounds. She isn’t waking because you have done anything wrong, and you’re not encouraging ‘bad habits’. You’re helping your baby feel secure as she grows through these intense developmental stages. You don’t have to justify your baby’s behavior with fancy labels or reasons for her waking.